Would you turn down the opportunity to leave a boring job that was paying you? We QuickBooks ProAdvisors® know that it is not that easy. There is always a “catch.” But, what if the “catch” was something that benefited your business? Would you be curious? If so, then read on. I put on a smile, asked them to explain what these terms meant and promised the client I would research how best to meet their specific needs. I remember providing a discount for my time, and we formed a trusting relationship that day. You are probably asking, what does this have to do with leaving a boring job? Let me suggest that if you find yourself becoming bored with teaching QuickBooks users how to enter and pay a vendor bill, then begin working with contractors. The construction industry has very specific work processes that need attention. Some of these processes are handled with QuickBooks Desktop add-ons, while other tasks can be managed with QuickBooks when the software is setup properly. While QuickBooks for Contractors is not designed to manage each of these tasks, understanding how your client handles these will help you properly setup QuickBooks for their specific reporting needs. The Chart of Account list is what your client will use to document the company’s Assets, Liabilities, Income and Expenses on their business tax return. To modify or add to the chart of accounts, select Lists > Chart of Accounts from the menu bar. Review your client’s Chart of Accounts – do they have Cost of Goods Sold account types? These should be general named accounts, such as Material, Labor, Equipment, Subcontractor and others that represent typical Cost of Goods Sold accounts for a construction company. Do not use the Chart of Accounts list for the trades they hire to complete their projects, as those belong on the Item list discussed next. For each project your client bids on, they likely have created a list of their estimated costs on paper, using Microsoft Excel or some other program. Typically, whatever items are on this list will also work well for them in QuickBooks. From the menu bar, select Lists > Items List. Most items created will be of a service type. If your client purchases products that are shipped directly to the job site, they might also select non-inventory as the item type. Only use inventory items if they will be storing the materials and will later be placing those materials on a customer invoice when sold. The item list should be as detailed as your client is willing to track actual costs to budgeted costs. If the budgeted list is too detailed, tracking actual to budget will be more time consuming. So, start out small and add to the list as you see your customer needing more detailed job reports. I am often asked, "Do I need to setup Customers, or Customers and Jobs, in QuickBooks?" It really depends on the business. For example, if your client is the retail chain Target, and they are working at multiple store locations, then Target would be the Customer and Store #1 would be the job. Click on the Customer Center on the icon bar to create both Customers and Jobs of Customers. However, if they only provide services for one job site for a Customer, then they might just use the Customer. Does their business provide both New Construction and Remodel services? These are typical examples of using the Customer or Job Type fields to segment their QuickBooks reporting for management purposes. Create the Customer or Job Types from the Lists > Customer & Vendor Profile Lists menu. Then, select a Customer or Job in the Customer Center, and assign the type on the Additional Info tab. With a Job selected on the Customer Center, select Edit Job. Optionally add Status, Start Date, Projected End and other details to the Job record on the Job Info tab. Some of this information assigned can be filtered for in reports. From the Home page, select Estimates. Enter the Customer or Customer:Job and row by row, assign costs to the items created earlier. Enter a Quantity and Rate, where the rate is the actual cost not including any markup, overhead or profit. The Markup column is important when viewing the Budget vs. Actual reports. Assign a dollar markup amount, such as $10, or a percent, such as 20 percent, in the Markup column. Your client can assign these on each row (preferred), or as separate rows, on the estimate. When entering a Bill or a Write Check form, use the Items Tab. Expenses recorded on the Items Tab will be compared with the Amount column total on the Estimate form in the Job Estimates vs. Actual reports. There are several acceptable methods of invoicing a customer in QuickBooks. You will need to ask each of your clients what method they currently use. For the Job Estimates vs. Actual reports to provide accurate details, you need to create your invoices from the line details on the Estimate. Open an Estimate and select Create Invoice. Perhaps, your client’s business needs to invoice the customer in "stages," commonly referred to as Pay Applications or Draws. QuickBooks can also prepare these. From the Edit, Preferences menu, select Jobs & Estimates. On the Company Preferences tab, select the radial button "Yes" for Progress Invoicing. When creating an invoice using Progress Invoicing, make sure to choose a Progress Invoicing Template (top right of the Create Invoices window). To locate reports available for job reporting, select Reports, Jobs, Time & Mileage. In QuickBooks for Contractor Desktop, you will have 14 unique reports, including Job Profitability Summary and Detail, Job Estimates vs. Actual Summary and Detail, and Profit & Loss by Job. In QuickBooks Enterprise, you will have two more reports: Job WIP (Work in Process) Summary and Committed Costs by Job. Are you now ready to leave “boring” behind and take on the challenge of working with contractors using QuickBooks? You will find the industry challenging and financially rewarding at the same time. Click here to receive an email with a link to download your free QuickBooks for Contractors Report Sampler, including the addition of the QuickBooks Enterprise reports. While this document was prepared years ago, it does a good job of providing a detailed view of the available reports. Laura Madeira is the owner of ACS, Inc., an Intuit Premier Reseller located in the Greater Dallas area. 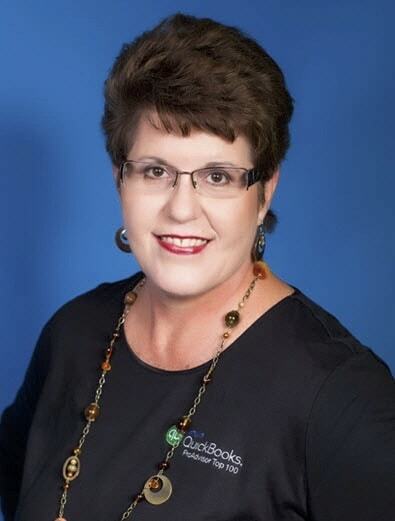 She was recently selected to the Top 10 QuickBooks ProAdvisors for the second straight year. She is one of the original members of the Intuit Trainer/Writer Network, has been a guest speaker for Intuit for many years and was a founding member of the Intuit Customer Advisory Council. She is Advanced QuickBooks Certified, Advanced QuickBooks Online Certified, Enterprise and Point of Sale Certified. She also is a Sage Certified Consultant representing Sage 100 Contractor software, and has written several QuickBooks training books and self-paced training videos. In her spare time, she enjoys photography, art, reading, and camping with her sisters and their families.